Here is the most up-to-date New Zealand dance news! New Zealand School of Dance student Georgia Powley in an Insight Performance. Photo by Stephen A’Court. The Street Dance New Zealand National Finals were held in Auckland at the Vodafone Events Centre from April 15 to 18. Hip hop teams from around the country competed for places in various categories. This year’s International Hip Hop Championships take place in San Diego in August. The crews that will be representing New Zealand are Bubblegum, Khaos, Swagganauts, Sorority, Duchesses, Masque, The Bradas, Kings, Associates, The Royal Family, Prestige, The Company NZ, plus Mayo, Tai, and Ken and Chris AKA The Comet Kids. Special awards were also given to Diamond Divas, Abide Dance Crew, Rezpect Dance Crew, Kani Krew, Connor Masseurs, Kristen Dodgen,The Bradas and The Royal Family. 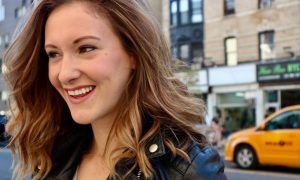 Taiaroa Royal has been working with NZ Opera as the choreographer for La Cenerentola: Cinderella, a co-production with Opera Queensland. 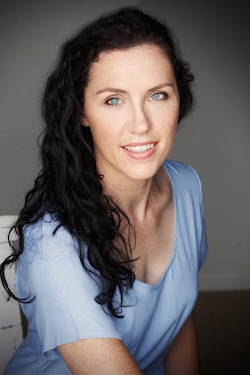 Taiaroa has worked with NZ Opera previously; as assistant director and choreographer for Hohepa (2012), Choreographer for Madame Butterfly (2013), and as a dancer in various seasons. La Cenerentola played in Wellington last month and continues this month in Auckland. Following the successful national and international tours of their ANZAC memorial work Rotunda, the New Zealand Dance Company is launching its third season of contemporary dance, Lumina. The production will premiere at the Maidment Theatre, Auckland from 19 – 22 August 2015. 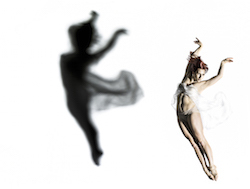 New Zealand Dance Company’s ‘Lumina’. Photo courtesy of NZDC. Three dynamic choreographer/composer teams are currently creating Lumina. Louise Potiki Bryant (winner of the Harriet Friedlander Award 2014) and world-renowned composer and AV designer Paddy Free, will draw from Maori myth with their work In Transit. 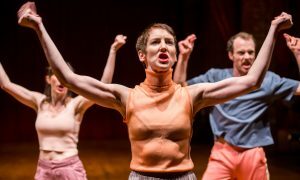 Malia Johnston’s new work, Brouhaha – devised with composer Eden Mullholland and AV designer Rowan Pearce – sees dancers exploring colour, rhythm, harmony and emotion. The company will also present its first international commission, by Dutch/American choreographer Stephen Shropshire. The trio The Geography of an Archipelago, is a co-production between The New Zealand Dance Company and the prestigious Holland Dance Festival. Set and costume designer Kasia Pol (Mau Dance Company) weaves all three works into an environment that responds to each of Lumina’s creative collaborators, lit by Jo Kilgour. The New Zealand Dance Company is also hosting Demolishment #1, a Choreographic Incubator with Ross McCormack, from June 29 to July 4. Demolishment is a six-day intensive movement workshop with the objective of building and breaking through specific choreographic triggers, improvisations and movement tasks designed to establish the first origins of a new work. The New Zealand Dance Company dancers will work with eight participants in this research project, in partnership with Wellesley Studios. “My first intention with this group is to lock into a strong focus on the body only, be reckless and instinctual to tasks involved, construct movement, break apart, rebuild and break again,” said Ross McCormack. To be one of the eight participants please write an expression of interest accompanied by your CV and photo to caroline.bindon@nzdc.org.nz. Cost: $300 + GST. The company’s YEP! Young Engagement Programme takes place again in Auckland from July 13 to 17. Students and teachers can learn contemporary dance with the professional dancers as well as work on choreography, to culminate in a showing on the final day. Enrolments are now open – register your interest at yep@nzdc.org.nz. Ballet Revolución returns to the Civic Theatre in Auckland from 17 to 21 June. 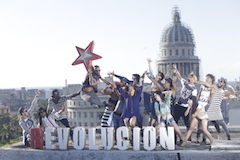 Ballet Revolución is a dance spectacular featuring eighteen of the world’s finest classical and contemporary dancers on stage with an eight-strong live Cuban band. The music includes the rhythms of Latin-America, as well as hits by Sia, Lorde, Beyoncé, Jessie J, Bruno Mars, J Lo, Prince and Rihanna. Bookings via Ticketmaster.co.nz. Dance Studies doctoral student Carlene Newall from the University of Auckland’s National Institute of Creative Arts and Industries. Photo courtesy of Carlene Newall. Innovative research into the benefits of dance on dementia and Alzheimers disease will begin at the University of Auckland thanks to funding from the Freemasons Foundation. Dance Studies doctoral student Carlene Newall from the University of Auckland’s National Institute of Creative Arts and Industries (NICAI) will undertake innovative and challenging research into the potential of dance to slow the disease progression of people affected by dementia and Alzheimers. She will be supervised by Associate Professor Ralph Buck, Head of Dance Studies at NICAI and Professor Suzanne Purdy from the Centre for Brain Research (CBR). Recent international studies have strongly suggested that dance and music activities can slow down the progression of Alzheimers disease, but this has never ever been established unequivocally through research, says CBR Director, Professor Richard Faull. New Zealand School of Dance students in an Insight Performance. Photo by Stephen A’Court. New Zealand School of Dance Insight Studio Performances run at the end of this month, from June 30 to July 2 at NZSD. These in studio works range from classical to contemporary dance and provide an intimate insight into the dancers and the school. The programme will also include highlights from NZSD’s Choreographic Season KARST and solos from third year classical students. First year students will present character, repertoire and composition. Entry is by koha/donation and no booking is required. Click here to learn more about the studio performances. Ballet 422 – New Zealand School of Dance Film Fundraiser – will be showing on the big screen for the first time in New Zealand. The one-off screening on 7 July is a fundraiser in anticipation of the school’s 50th Anniversary in 2017. Special guests from the Royal New Zealand Ballet will be in the foyer beforehand to meet and mingle. Tickets to this highly regarded show-all documentary, are $25 general admission. Have a look at the trailer and you won’t be able to resist going. Click here to learn more about the event. Photo (top): New Zealand Dance Company’s ‘Lumina’ cast. Photo courtesy of NZDC.